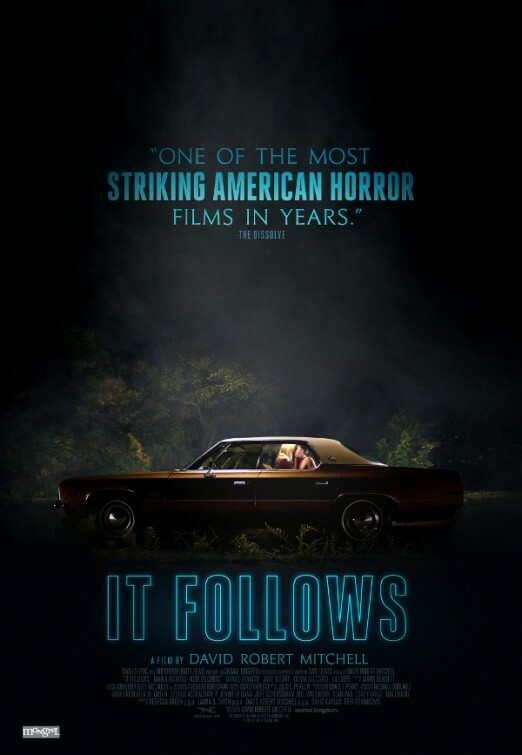 After hearing about It Follows and seeing the amazing box office it did last week, averaging over $40 thousand dollars a screen but showing on only 4 screens, I was excited to see that this limited release film had made its way to my local theater. The storyline is fairly simple. For nineteen-year-old Jay (Maika Monroe) , Autumn should be about school, boys and week-ends out at the lake. But after a seemingly innocent sexual encounter, she finds herself plagued by strange visions and the inescapable sense that someone, something, is following her. Faced with this burden, Jay and her friends must find a way to escape the horrors that seem to be only a few steps behind. So basically, an STD that transfers a curse to the person. This immediately reminded my wife, Christa, of Contracted, a movie that we reviewed last October during our 31 Frightful Films series. But instead of gross out special effects and bloody kills like we got in Contracted, we get a psychological horror film that attempts to ramp of the tension. The problem is, it mostly missed. The dialog seemed wooden to me and seemed to kill most of the tension I was probably supposed to be feeling. Some of the choices made in the script left me scratching my head as it was stuff that I had not seen done before, and contradicted what you would expect to happen with the type of horror they were facing. This, along with a payoff that was not what I was expecting, firmly placed this movie in the non-entertaining category for me. Save your money and your time, and go watch something else. Might I suggest Kingsman: The Secret Service if you haven’t seen it yet?